The 2017 season has been another successful one for the Wakefield peregrines. 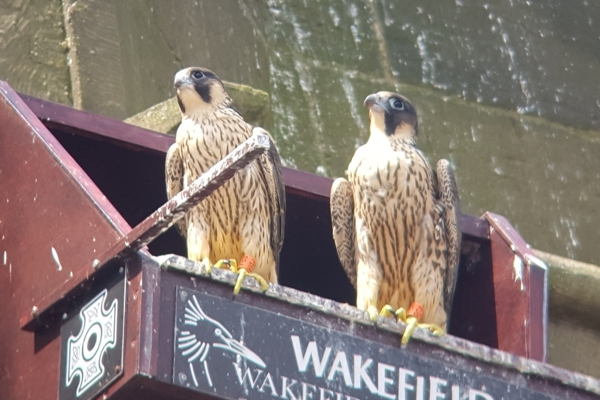 The same two adults have now bred on the cathedral in three successive years. This year, they had four eggs, with the female laying the first egg within two hours of the time when the first egg appeared last year. We believe that one egg was accidentally punctured by a talon and, as a result, only three of the four eggs hatched. The three young peregrines have been given orange rings with the codes PAA, PBA and PCA. PBA is the only male. As usual, the adults did a good job of raising the youngsters. They fledged on a very windy weekend and ,as a result, there were a couple of mishaps. 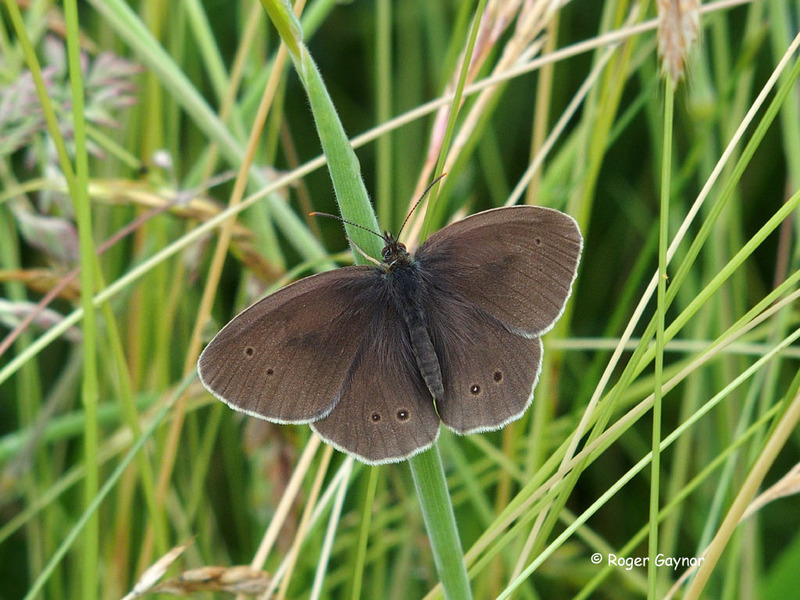 Instead of being able to spend time jumping up onto the wall above the box and running along the wall flapping their wings, the youngsters tended to get whisked away by the breeze and a couple found themselves down on the ground. The young male, PBA, was returned to the tower almost immediately but a female, PCA, landed late in the evening and was returned the next day, after a medical check organised by the people at Wise Owl Bird of Prey Rescue. PCA had a limp but no broken bones. 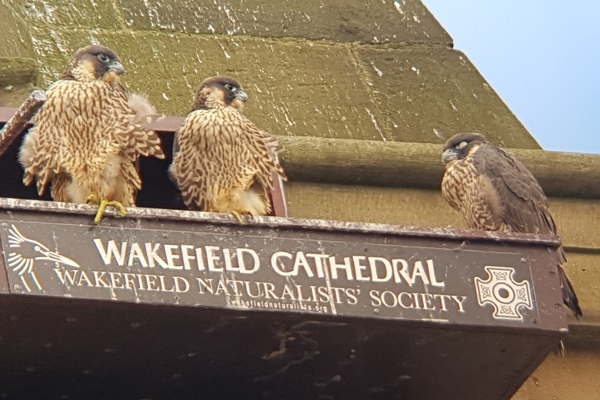 All three of the youngster are now flying freely, putting on some good displays as they chase each other in the skies above Wakefield. As usual, they have chosen the roofs of the tower blocks as their favourite base. These three youngster bring the total fledge since breeding began in Wakefield to ten. We look forward to hearing news of sightings of Wakefield birds in other cities at some time in the future.